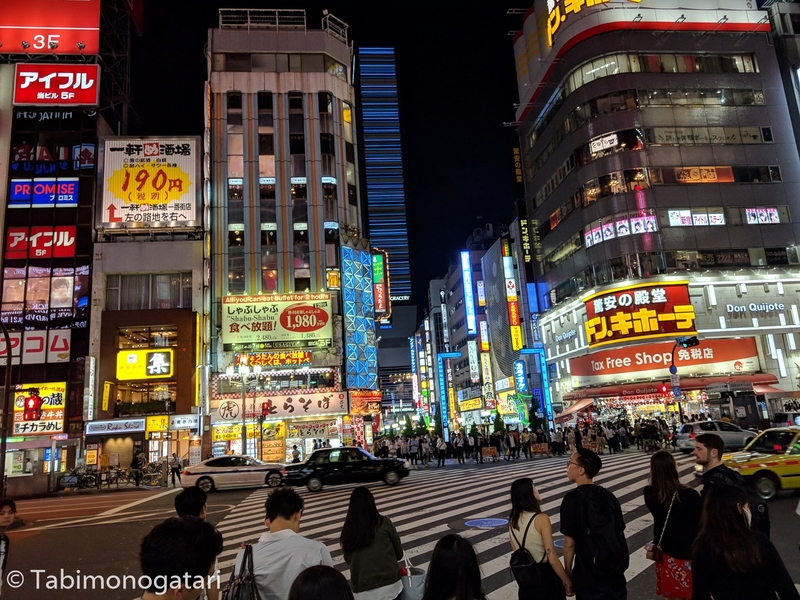 This marked already the fifth time I visited both Japan and Tokyo (the last time was in Winter), so instead of sightseeing, shopping and meeting friends was in order. At noon I arrived at Narita airport, the more remote of the two in the Tokyo area that serves mostly international flights. At a 7-Eleven convenience store I could easily withdraw money and proceeded to the station to buy a ticket. Given the short stay, I was looking for an accommodation that was well accessible from the airport while being in central Tokyo. 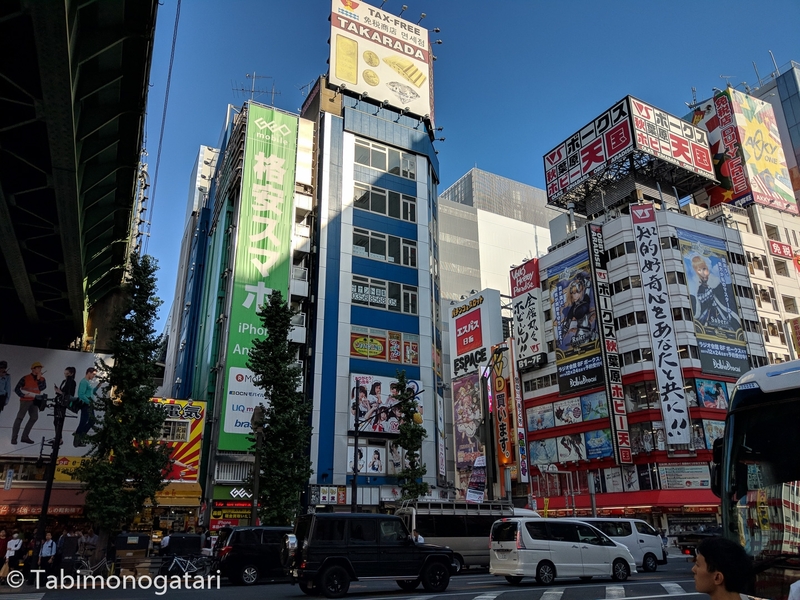 Although there were limited options in the price range I was looking for, I was lucky to find an affordable hotel in the East of Ueno station. On another note, since the recent law change regarding Airbnb stays, I refrained from searching for one this time. There are several transportation options from Narita to central Tokyo, I have tried both trains and buses before on previous trips. When I was staying in Shibuya or Shinjuku the limousine bus was both comfortable and cheap. This time for Ueno, I found the Keisei Skyliner to be the best option, since it connects the airport with Ueno station in 40 minutes. At the ticket counter there was the option to purchase a combination ticket of the train ticket and a subway day pass with a discount. In my case, a retour ticket for the train and a two-day pass costed almost the same as the train ticket alone (5100 vs 4800 yen), so I was happy to take the offer. Still, there were times when I had to use the JR trains (I like them more than the subway actually), so I topped up my Suica card, too. 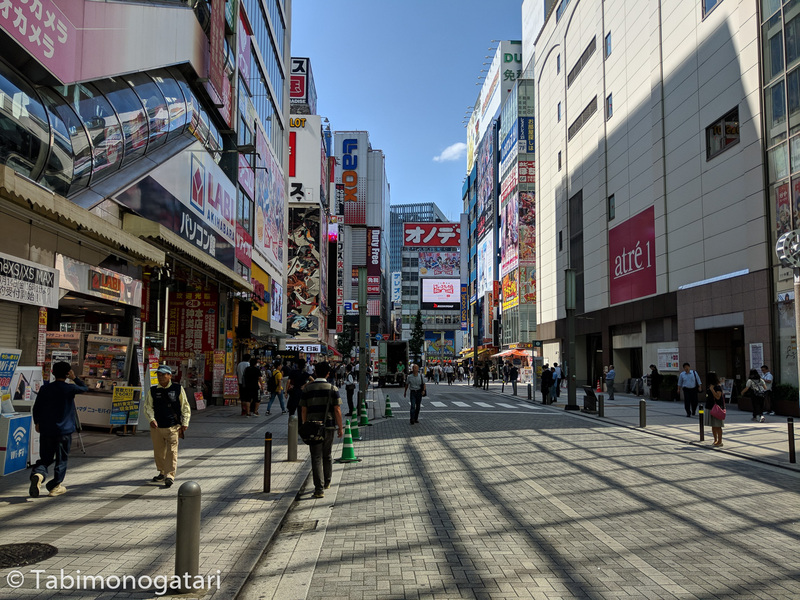 After checking in to my hotel I decided to go to Akihabara for lunch and shopping. 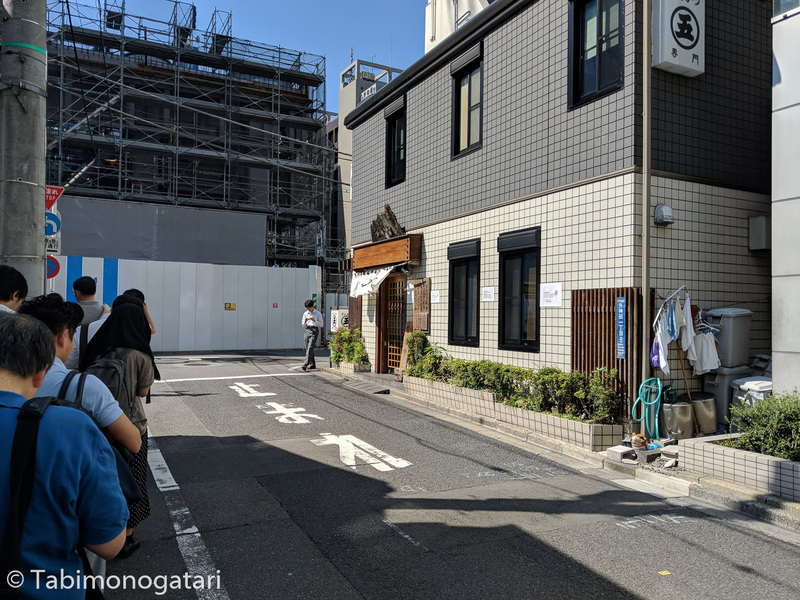 Near the station is a traditional Tonkatsu restaurant I was at before and remembering the good experience, I decided to pay a visit again. Without surprise there was a line in front of the restaurant, and after about half an hour I could take a seat. In contrast to most restaurants I visited so far, this one emitted calmness and diligence. Each breaded pork cutlet was made by hand, one at a time. 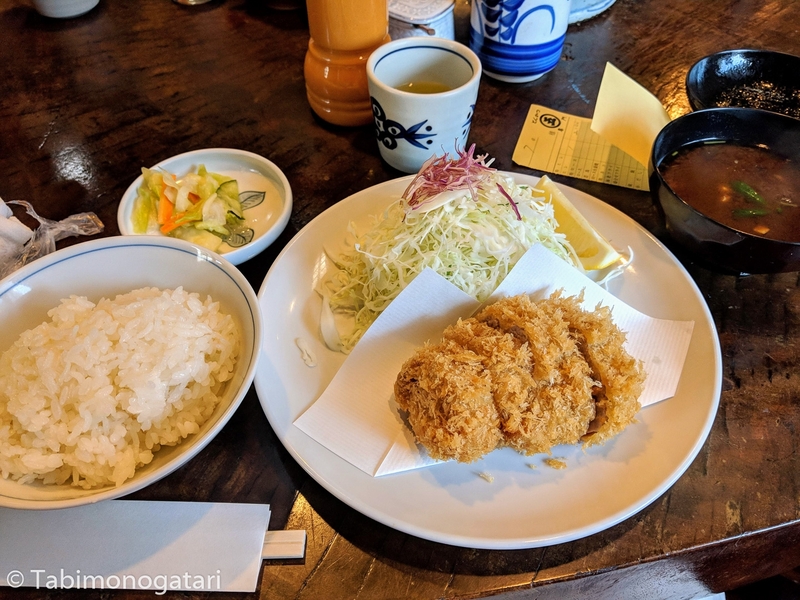 When the ordered tonkatsu arrived I also took my time to fully enjoy it. Afterwards I strolled through the district and looked into several stores, leaving the main alley to the end. 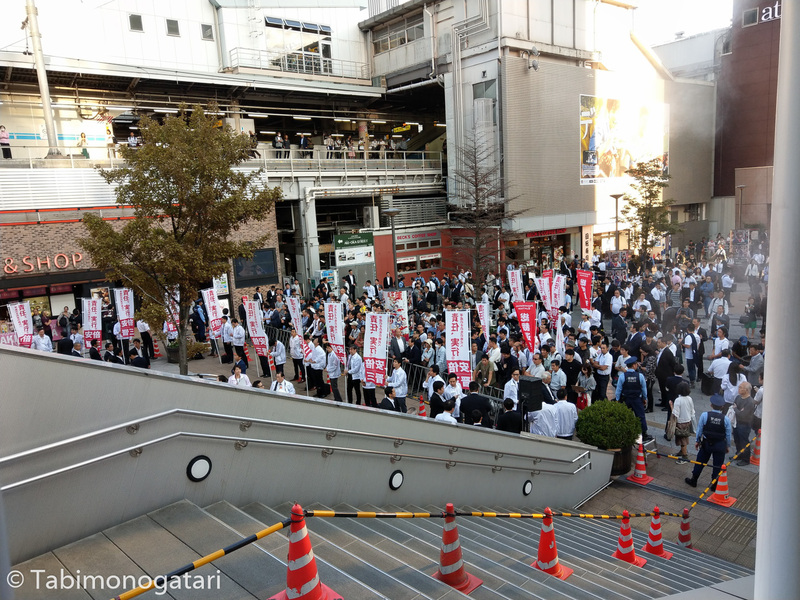 When I returned to the station I noticed a crowd forming on the open space in front of the station and a lot of security personnel. The reason for that was no less a person than the prime minister Shinzo Abe. He would have given a speech shortly before his possible reelection. Unfortunately, I had plans for the evening, so I could not witness him in person. He was eventually reelected as party leader. In the evening I met up with two good friends I have not seen in a while. 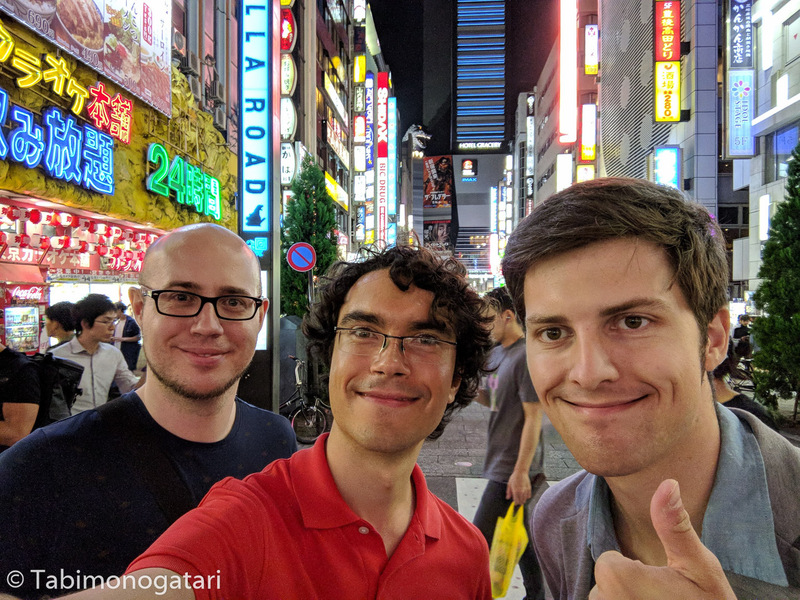 Ben, from Germany, was briefly in Tokyo to see his girlfriend who also joined us, and Andi, my other friend from Switzerland, is living in Miyazaki in southern Japan and happened to be in Tokyo that day. Meeting either of them in Japan was great timing and a first-timer. 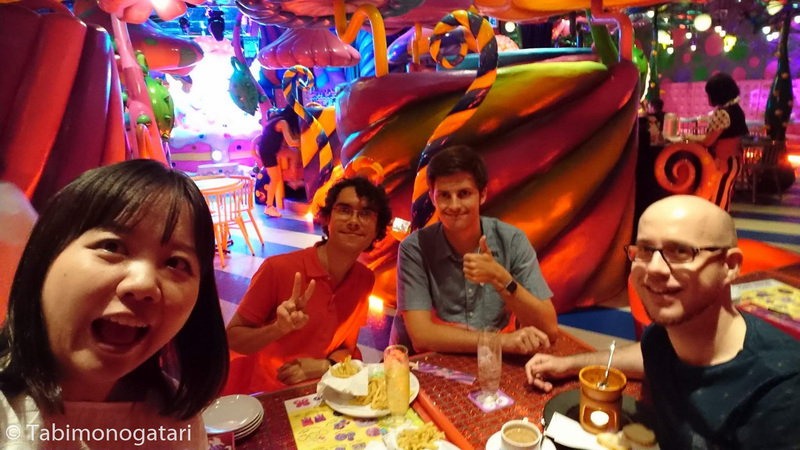 We met up in Harajuku where we toured Takeshita street and the Line Friends store, then the four of us visited the Monster Café. 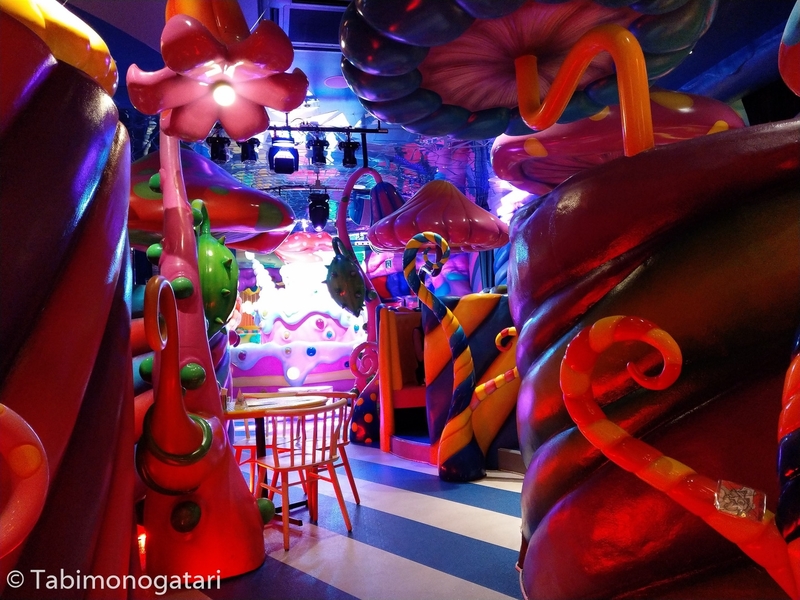 It is centered around the kowakawaii concept of being scary yet cute and drew inspiration from the artist Kyary Pamyu Pamyu. 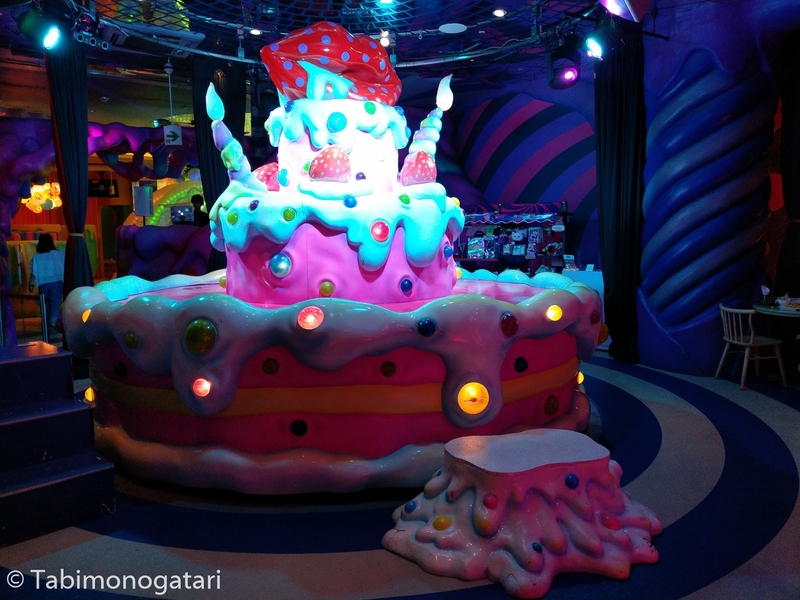 The decoration was elaborate, and the waitresses also wear fancy outfits, so it felt like entering a different world. 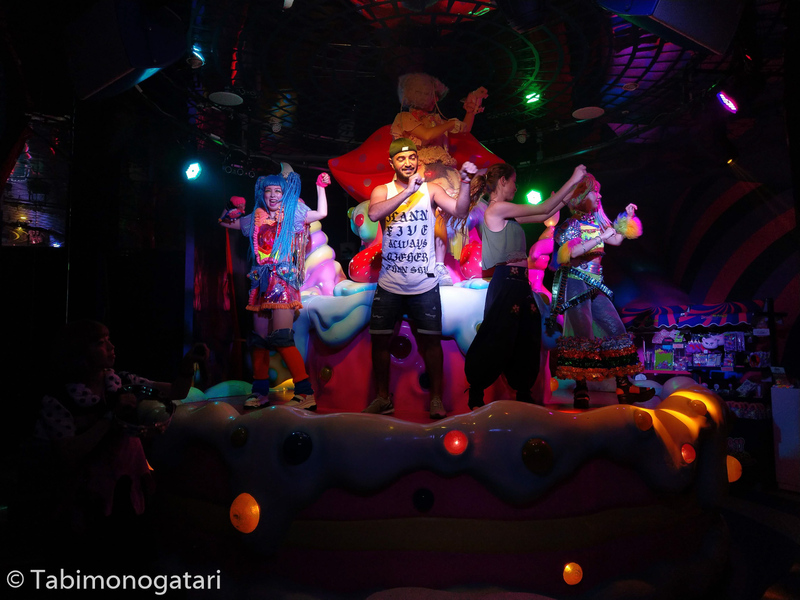 We were lucky to witness a live performance. Two unlucky foreigners had to join the performance. Next, we headed on to Shinjuku and since it was the midst of the rush hour, the Yamanote line was full of people. 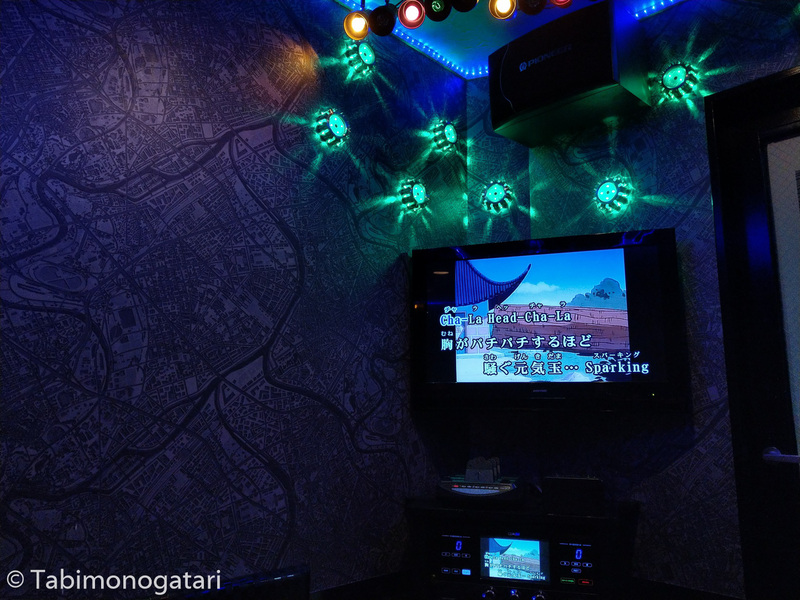 On the East side we went to a karaoke place near the Toho cinema and equipped with instruments and drinks we had great fun singing both western and Japanese songs, both classics and recent hits. Our Y.M.C.A version was hilarious. Finally, we moved on to an Izakaya for proper dinner. 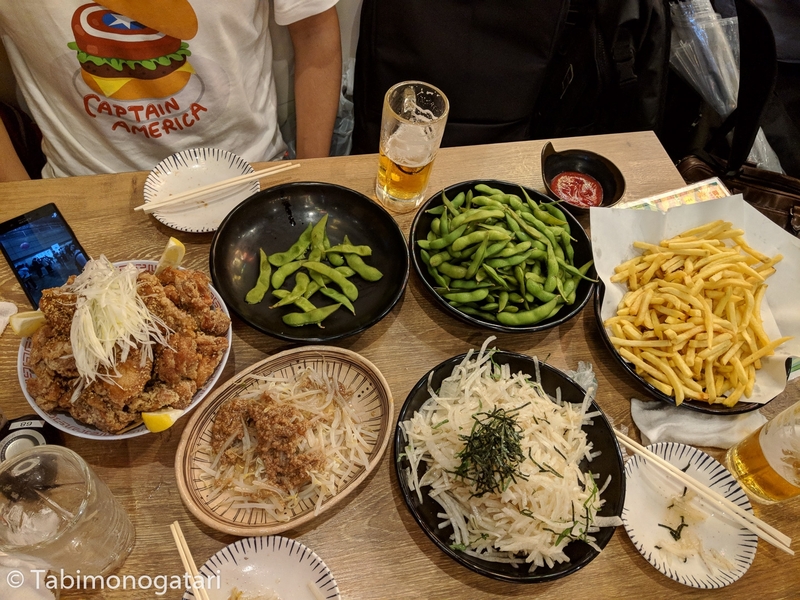 We settled for the nomihoudai (all you can drink) package and ordered some yakitori and edamame, too. Such arrangements are pretty common in Japan but do not exist where I come from. I think such a business model would not work in Germany since people would drink too much to make it worthwhile for the bar host. We almost lost track of time, but made sure to catch one of the last trains to our respective homes. 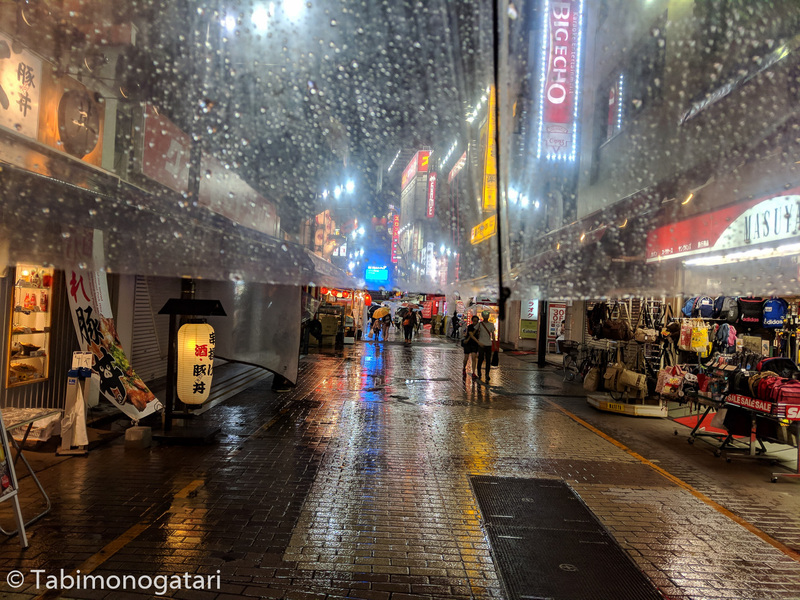 The weather forecasted predicted rain for the next day, which was fine for me, since I planned to continue to shop gifts and personal favorites. 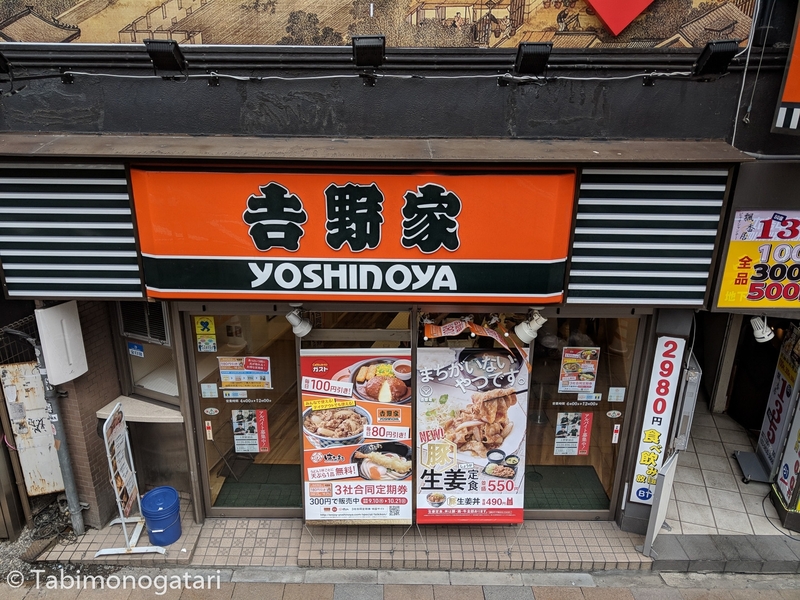 For breakfast I went to Yoshinoya, one of the gyudon fast-food chains that are as ubiquitous here as McDonald’s in Europe. This time I went for the classic gyudon teishoku set meal in atama (head) size, a funny name for an extra serving of rice). 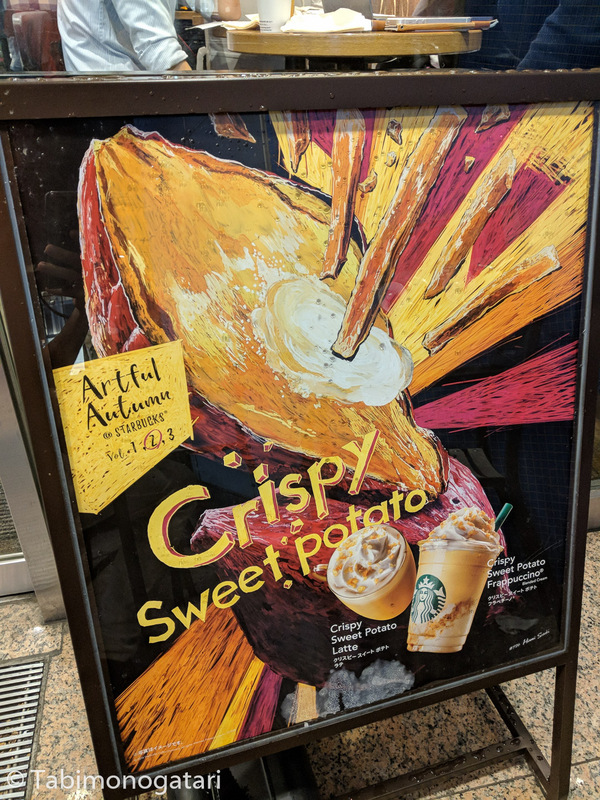 I found that all shops I was interested in had a branch in Shinjuku, so I headed there using the subway using my free pass. 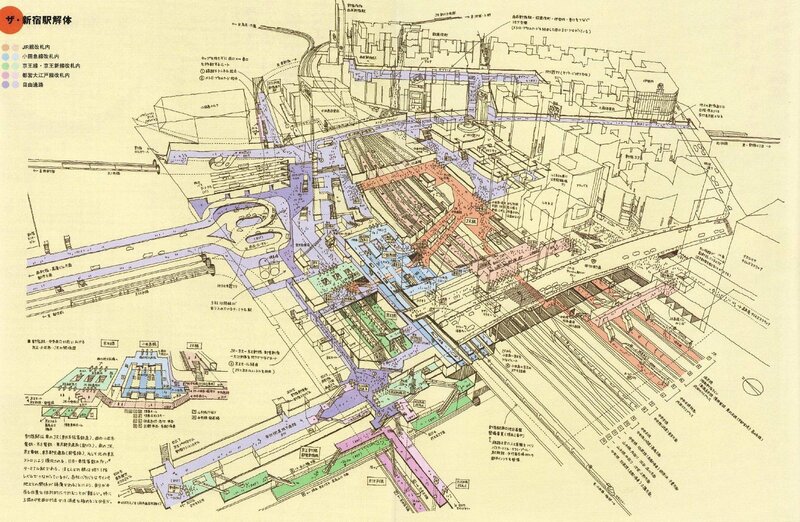 When I arrived in “Shinjuku station” I remembered how horrible it was to navigate through the world’s busiest station. The various stations of different companies are connected by an underground maze and I found that I was at the exact opposite to the area I wanted to go. That meant, I spent 15 minutes walking concourses until I could cross the train tracks to end up on the East side of the station. My recommendation is to take the JR trains to Shinjuku since their ticket gates allow easy access in all directions. Over the course of the day I visited Kinokuniya and Book Off, followed by Bicqlo (mixed Uniqlo/Bic Camera) before heading for lunch. One ramen restaurant I wanted to try for a while was Menya Musashi. Their main branch was in Shinjuku, so I paid them a visit. By that time, it began to rain, but I had thought ahead and brought an umbrella. The ramen restaurant had the typical counter layout with an open kitchen and also a typical vending machine where I selected my order. The specialties of the house were thick, almost udon like noodles with a soy broth originating from pork and fish bones. After a short while I could dig in to my bowl with a large serving of chashu (roasted pork belly). 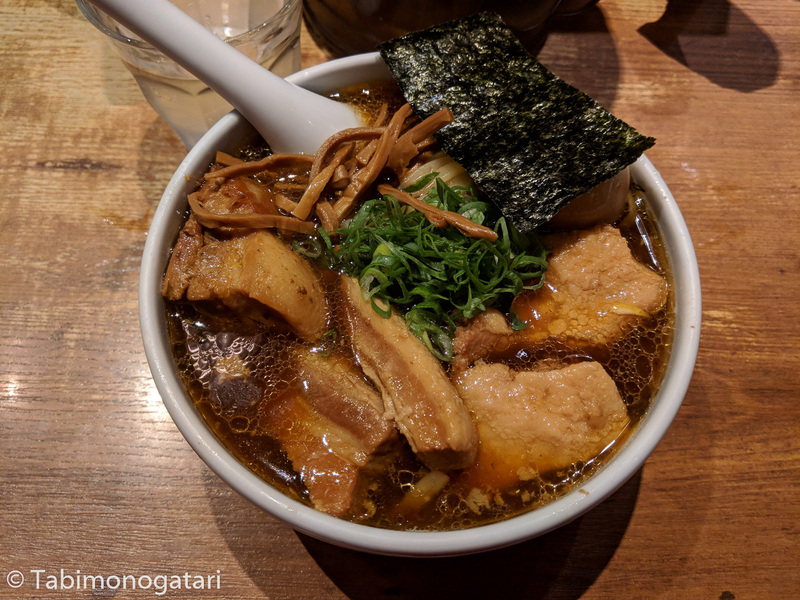 The broth was rich, the noodles chewy and the chashu was melting in the mouth. 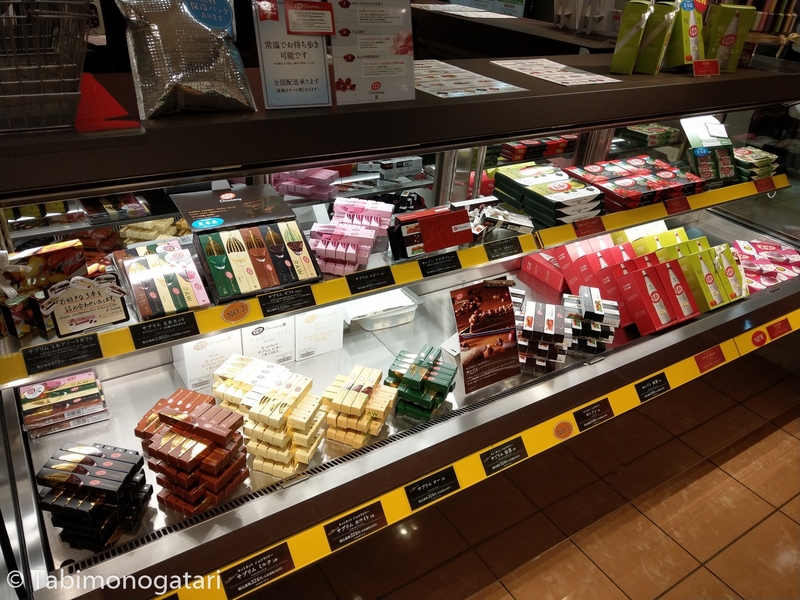 The shopping trip continued in the Takashimaya mall where I visited Tokyu Hands and the KitKat store that just started to sell their newest umeshu-flavored creation. 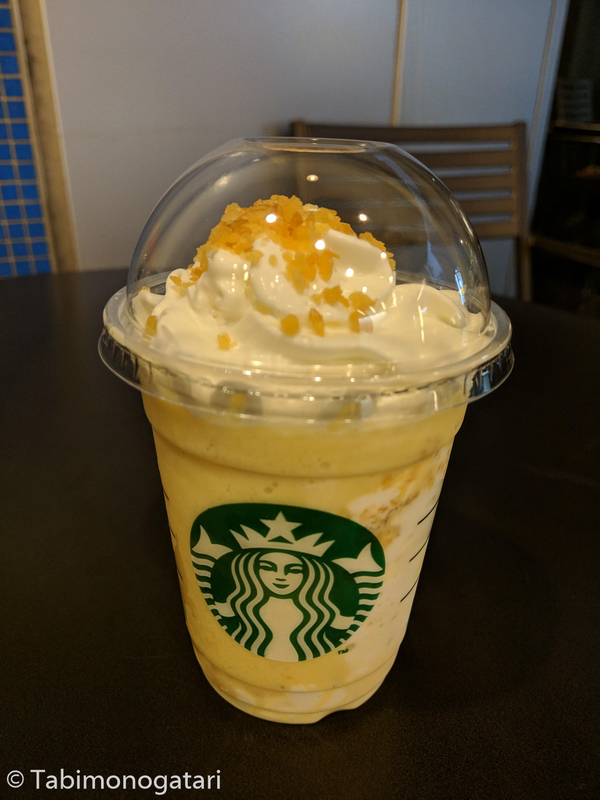 One more beverage I had to try was the seasonal Autumn-themed beverage from Starbucks with sweet potato flakes. I wish they also had such creative drink combinations at home. There was just enough time to return all the bags to the hotel before I met up with a good friend of mine. In winter we spent two days in Kusatsu for an Onsen vacation and tonight we met up in Akihabara for dinner. He brought along another friend I met in 2014 and together we had a big feast at an Izakaya called Chibachan. By now I know that the best restaurants are hidden in the upper floors of buildings only reachable by elevator. The next morning I had to leave at noon for Taiwan. 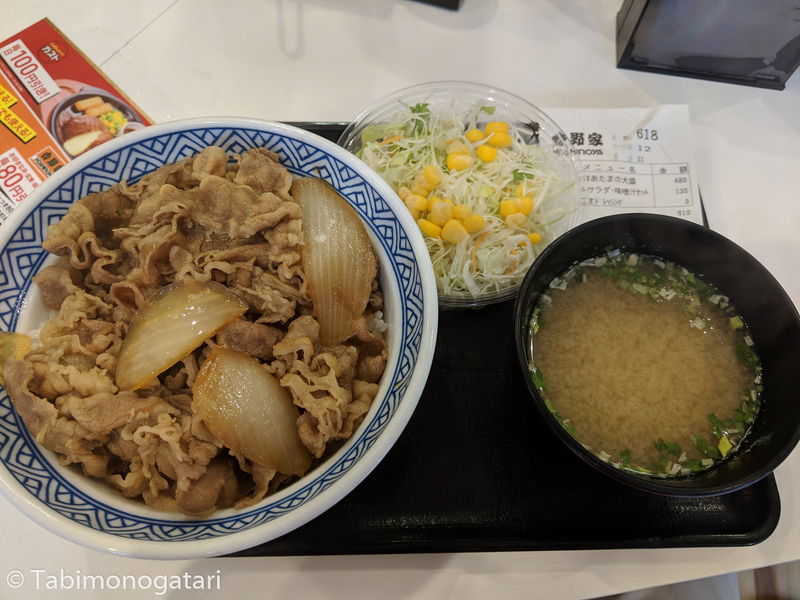 After some consideration I found myself at a Gyudon restaurant again, because they were not many open restaurants in the morning and I preferred another bowl of thin sliced beef over rice over a visit to the convenience store. My flight departed from Narita Terminal 3, the recently opened terminal for low cost carriers, like the one I was flying with. The terminal building was small but modern with a sprinting track as the floor. Mainly directed to Japanese people on domestic flights there were hardly any stores, a bummer in comparison to the large selection in Terminal 1. The next destination is Taipei, the capital of Taiwan. Having passed the half-time mark of this trip, I also begin to return southbound.